The Marlins are playing their first game since José Fernández died in a boating crash over the weekend, and it’s been an incredibly emotional affair. The whole team is wearing Fernández’s number 16 jersey and both teams paid tribute to him before the game. Dee Gordon’s leadoff dinger provided an incredible moment of catharsis. 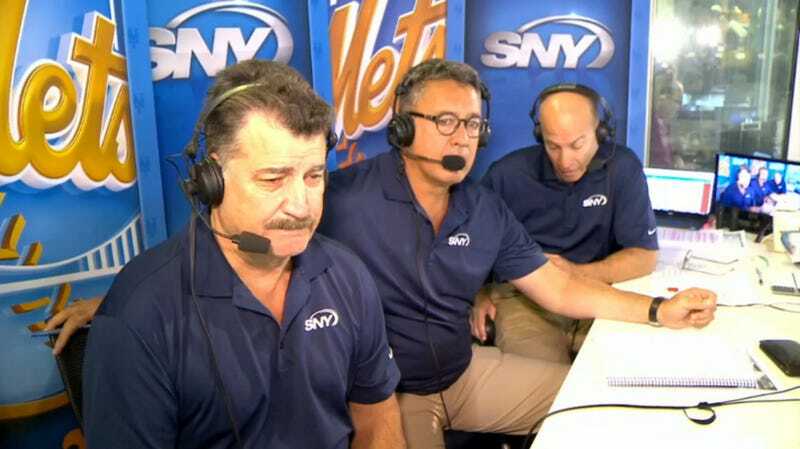 The Mets’ broadcast crew of Gary Cohen, Keith Hernandez, and Ron Darling spoke about Fernández before the game started, and all three got choked up while talking about his life and his legacy. It’s another example of how beloved Fernández was, and how much his death has shaken the MLB community.